Here at Starwood Motors, there’s nothing we love more than creating custom vehicles for drivers to love. Out of all the drivers on–and off–the road, though, you’d be hard pressed to find a group as passionate about their vehicles as Jeep drivers. That’s why the team at our Dallas custom shop takes out all of the stops when it’s time to build a custom Jeep. No matter where you look, you’re not likely to find any other custom SUVs like ours; that’s because of the painstakingly detailed process we carry out every time we customize a Jeep. Depending on the type of customizations that catch your attention, the customization process can vary greatly. One thing is always true, though: we don’t take shortcuts when we customize a Jeep at our Dallas shop. When applying our signature exterior finish, for instance, we pay attention to every detail. We remove necessary parts, then tape and mask all of the areas that need to be covered. Our team then hand preps the existing finish, ensuring that the new exterior finish gets the best adhesion possible. Our expert technicians pay just as much attention when installing aftermarket components and upgrades. Whether it’s new door panels, upholstery, bumpers, winches, or light bars, we take the time to make sure every installation is carried out flawlessly. The result is an unmistakable custom Jeep that’s ready for anything. We even fabricate or cut components to create the perfect fit for what you have in mind. Inside and out, our customization process is designed to leave you with the utmost in quality when you take delivery of your customized vehicle. 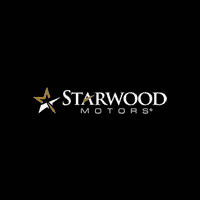 For more information on our exceptional customization process, including how we can customize your vehicle to match your wildest dreams, be sure to contact the Starwood Motors team online or to call us at (800) 348-9008 today!